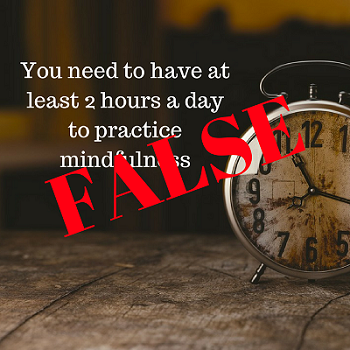 A common misconception about mindfulness meditation is that you need to devote long periods of time to meditate. While more meditation practice will certainly cultivate more mindfulness in your life, there is a lot you can do with just five minutes each day. 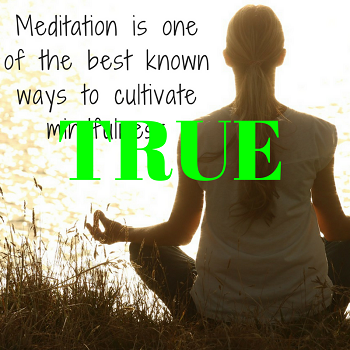 In fact, you don’t even need to meditate to be mindful. If formal meditation practice seems too daunting for you, try being mindful while you wash the dishes, or when you’re in the shower, or while you’re speaking to a friend or family member. There are an infinite number of moments throughout the day to “drop in” and practice mindfulness. I often hear this concern from people in the business world. There’s a fear that if they start practicing mindfulness, they won’t be as productive or effective in the workplace. Well, the research seems to suggest otherwise. Employees and leaders who practice mindfulness stay more focused, have less stress, are more emotionally intelligent, take less sick days, are better listeners, and are more optimistic. In fact, research at Aetna suggests their employee mindfulness trainings have saved them $9 million in health care costs and added an estimated value of $3,000 per employee per year. 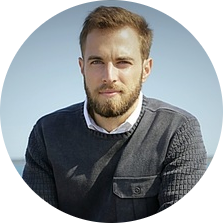 There is a reason large organizations like Google, Amazon, Zappos, and General Mills are adopting mindfulness programs; it’s a way for employees to optimize their brains for greater wellbeing and performance. So maybe it’s not so much that you’ll lose your edge with mindfulness, but rather that you’ll find a new one. This one might be a hard pill to swallow! 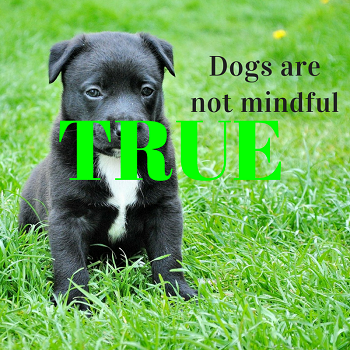 People love to believe that their dogs are mindful because “they’re always present.” And while yes, it’s probably true that dogs are very present, they’re also reacting to everything that comes into their awareness in the present: “SQUIRREL! FOOD! CAR!” They are being present with these things, but that is only one piece of the mindfulness puzzle. Mindfulness also has a discerning quality to its awareness; one that allows us to observe what is happening in our experience and then respond rather than react. Think: Feeling anger in the body and instead of punching someone in the face, you take a breath. If you’ve just tuned into pop media articles on mindfulness, you may come away thinking that mindfulness was a new discovery, or an “improved” meditation method, created by scientists and researchers in the 70s and 80s. 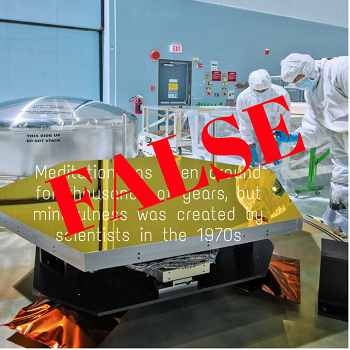 This is far from the truth. Mindfulness has been a specific form of meditation for thousands of years, and has been a foundational component of nearly all meditation practices ever created. So although there has been an explosion of research over the last 35+ years aimed at understanding the efficacy of mindfulness, the methods being studied to cultivate mindfulness have been around for millennia. Yes, you do not need to be sitting on the ground with your legs crossed to practice mindfulness! 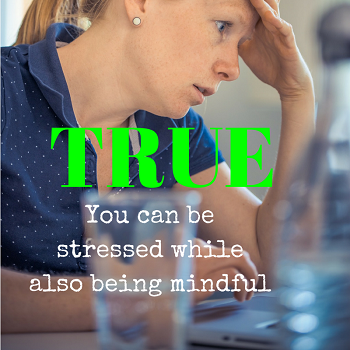 You can absolutely be mindful while you are doing, perhaps noticing your hands on the steering wheel, or feeling the road rage that comes up in your body when someone cuts you off, or noticing the urge to want to use your cell phone. 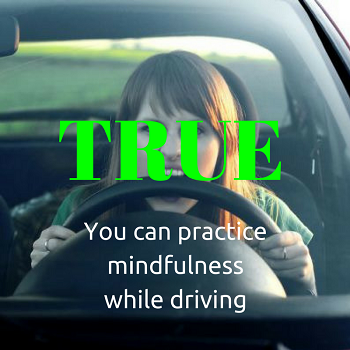 Driving is an excellent place to practice mindfulness, and arguably one of the most important! If we look at the heart of mindfulness meditation, it’s about cultivating attention, focus, presence, awareness, compassion and wisdom. These are capacities of mind that are available to anyone who is human, regardless of faith or spirituality. 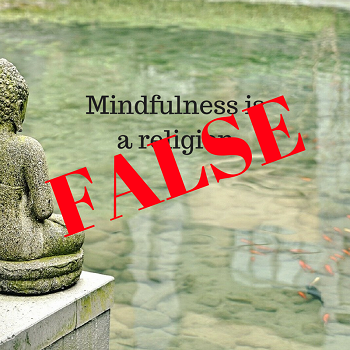 While it is true that some of the best articulations for how to practice mindfulness come from the Buddhist tradition, you do not need to be a “Buddhist” to practice mindfulness. In fact, the Buddha was not a Buddhist; he was merely a man interested in understanding the nature of suffering and the end of suffering. “Buddha” simply means “one who is awake” and can be used to describe the essence of all human beings. So although we often see people meditating in a religious context, we must remember that at the heart of this practice is simply the exploration of what it means to be human and how we might cultivate a mind that promotes greater wellbeing and less suffering. And people of any faith and belief system can engage in this exploration. There are many ways to cultivate mindfulness. In each moment, no matter what we are doing, we have the opportunity to be mindful and train that capacity in our lives. And if we really look at meditation, one could make the argument that every moment of deep awareness is a moment of meditation. However, if we take the perspective that meditation means “formal meditation practice” where one takes a period of time to intentionally cultivate mindfulness through awareness of breath, body scan, or mindful movement, then yes, this form of meditation does seem to offer one of the clearest and most effective paths to cultivate greater mindfulness. From teachings of the Buddha to academic articles aimed at understanding mindfulness, having a formal meditation practice consistently emerges as one of the most effective paths to develop mindfulness. 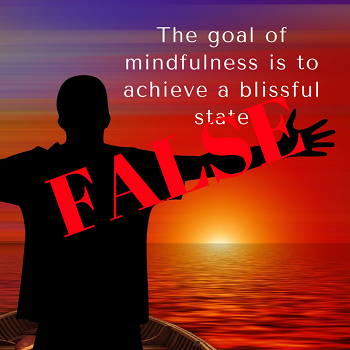 With emerging research demonstrating the positive psychological and emotional benefits of mindfulness, it can be easy to mistake the results for the process. And if we’re being honest, most, if not all, people do come to mindfulness because they want to feel better and experience more blissful states. Mindfulness practice certainly holds this potential. However, these positive benefits that arise from mindfulness are often the product of not trying to achieve this blissful state, but instead remaining balanced and equanimous with whatever experience arises. The “goal” of mindfulness is not “bliss” but rather non-judgmental awareness of our moment-to-moment experience. Thanks for taking this quiz! Click here to learn more about my mindfulness workshops.